UPDATE December 27th: I’ve added a post which doesn’t need dconf-editor here. 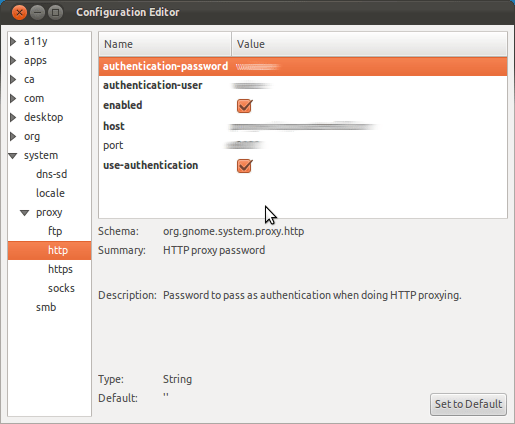 Since Ubuntu 11.10, the proxy settings tab in the system settings have been changed, it’s no longer possible to enter your credentials in the proxy settings. Within dconf-editor, goto “system > proxy” and change “mode” to manual. Can you post which values you’re trying to set? 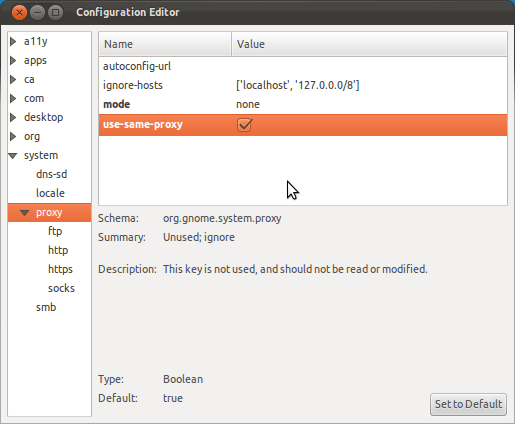 Maybe a dumb question, but how do you run apt-get if the proxy settings are not correctly set? Scroll down to “Download dconf-tools” and select the architecture you’ve got. I’ll try to create a small script in the next few days which will change these settings by running it.. Thanks Joris, I was able to install dconf-tools and use it to change the proxy settings. Correction: I can install new software via the software manager…and I can browse the net with Firefox, so it seems the proxy settings are ok.
Hi Stephane, that’s awkward, I’ll try and see if I can replicate that tomorrow when I’m at work. I’ve seen some fail messages but haven’t seen this one. Did you try apt-get install -f? Hi Joris, no I didn’t try this. It worked but you need to use the terminal to install updates and stuff.